Christians are facing greater pressure in the western world than for over 300 years. There are perils coming from outside the church – persecution, militant atheism and mockery of our precious faith. Many believers have been martyred or are languishing in prisons or labour camps. There are also perils from within – false teaching, worldliness, and discouragement. All these circumstances arise in the books that we are covering. The readings have been selected to encourage Christians like ourselves living in difficult times.There is also the evangelistic challenge to any readers who are not yet believers. I have carefully selected daily Bible readings covering 366 days. Some of those who you will meet in these readings also faced hostility and persecution and triumphed in them. We will be considering two men, Ezekiel and Daniel, who were exiled in the captivity of 597 BC when Nebuchadnezzar installed Zedekiah on the throne of Judah. They became prophets during their exile. Other Old Testament books cover the return of exiles to Judah following the end of the Babylonian captivity. These books are Ezra, Haggai and Nehemiah. We also include and Psalms 1 to 12 plus sixteen other psalms in our Old Testament readings. New Testament readings are taken from 1 & 2 Peter and all the writings of the apostle John. There is a close connection between themes in Ezekiel and Revelation. 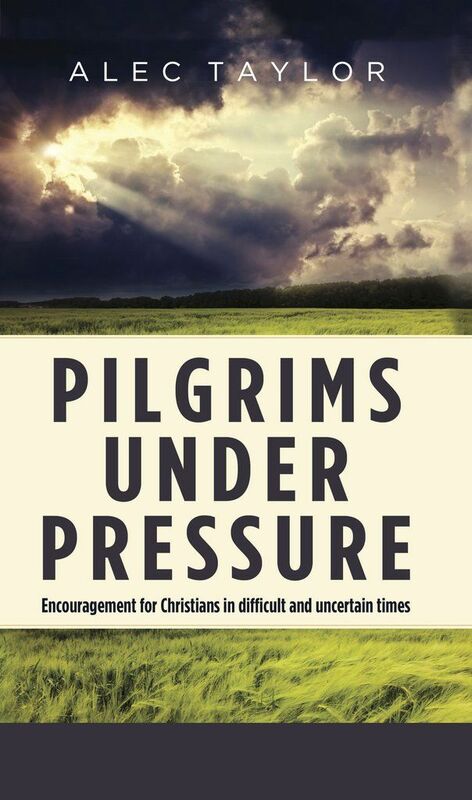 ‘Pilgrims Under Pressure’ was originally published by Evangelical Press as a hardback book with 404 pages. The 2019 revised edition is now available and is free to download.